Over the last 30 years, Design Data has revolutionized the steel detailing industry with its flagship 3D steel detailing product, SDS/2. Throughout our history, we've delivered numerous innovations and firsts in the industry, from the first 3D steel detailing model and CNC transfer to automatic connection design. 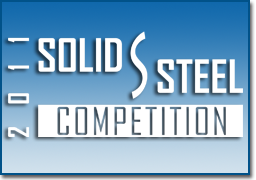 While the recession has been a hardship on us, our customers and the steel industry as a whole, Design Data chose to look at it as an opportunity – time we could use to focus on strengthening SDS/2. As a result of that effort, we are proud to introduce SDS/2 software solutions: nine new products that take a project's potential and transform it into real profit. The goal of this rebranding initiative is to provide you with every advantage to help you land new work, improve work flows, and streamline your projects. 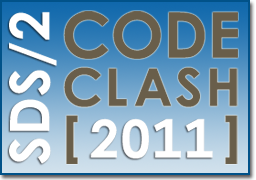 Specifically, there are three compelling and visible ways Design Data has improved SDS/2. With these new products, Design Data is addressing the varying needs of the steel industry head-on, offering more specific products to BIM coordinators, fabricators, erectors, and more. Streamlining the software to specifically meet their needs presents greater opportunities for our current customers as well as Design Data. Some of the new products are familiar, while some bring about change. For example, customers will see that in SDS/2 versions 7.3 and above, the Global Review Station is no longer a product offered by Design Data. For those of you who own Global Review Stations, your future versions will be transitioned to our equivalent product, SDS/2 Approval. Any companies utilizing Global Review as an erector's tool are welcome to contact your sales representative and request a transition to an SDS/2 Erector station. Our current customers will benefit most from the new tools we are adding as a result of the rebranding. You will notice several new tools, all of which have been in high demand from customers over the years, and will be available in new versions of SDS/2 Detailing. As a part of the rebranding initiative, Design Data has done a complete overhaul of our Web site, marketing and the look of the software itself. This more cohesive look better ties the marketing to the software, and, in turn, will help users be more competitive in landing work while helping SDS/2 be more competitive on the market. We've made some big changes here at Design Data with our expanded software solutions, but one thing will always remain the same—our commitment to our customers. Throughout this process, we have strived to make this change as seamless as possible for you. Though there will be changes to our products, there will be no change in the level of service we provide. 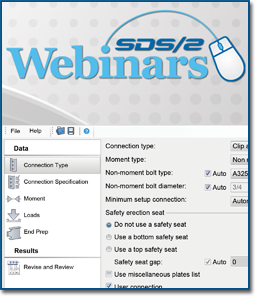 On May 25 at 11:00 a.m. CDT, Design Data will host a free, live webinar on SDS/2 Connection Design in Revit® Structure. Design Data and Autodesk® have collaborated to streamline the BIM workflow, incorporating new technology between SDS/2 software solutions and Autodesk Revit Structure.